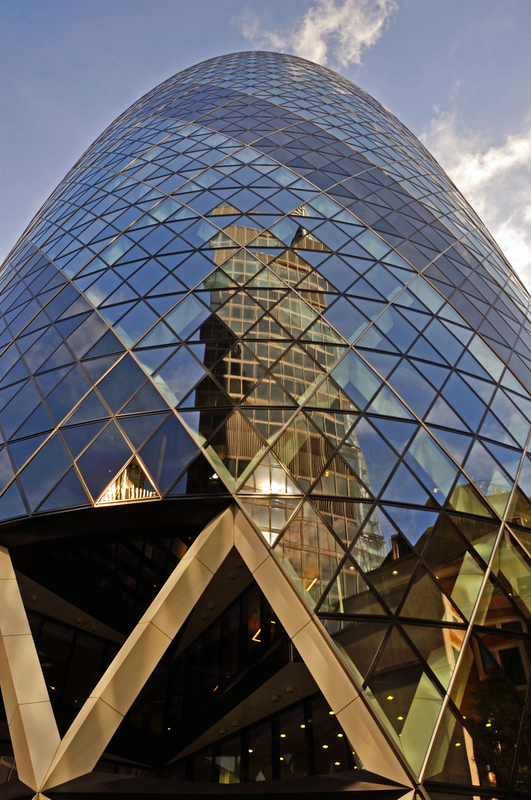 A reflection on the Gherkin Building London. Nice! A whole new art form!